Infant Mental Health – How do early life influences impact on mental health? 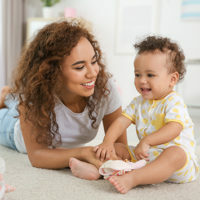 Infant Mental Health – Early influences on the child’s development can have a significant impact on their later lives. This conference will help bring together the up to date research on the intergenerational transmission of vulnerabilities in children. It will be looking at putting theory into practice – showcasing local services including a pilot project helping parents develop a secure attachment through mind-mindedness and reflective parenting. You can book online using the button above or simply download our booking form and email or post it back to us. If you prefer, for security purposes, not to fill in your card details, please complete all other details on the form and we can then we can contact you by phone for these. This conference is suitable for anyone working with children and young people. It is appropriate for clinicians in mental and physical health in all settings (i.e. primary, secondary, tertiary care), education, social care and youth-based services. Delegates will gain an understanding of the importance of early life influences on child’s development and the long-term impact on their mental health. They will also have an opportunity to network with different professionals working with children and young people. It is a day of lectures and presentations with time for questions and answers. Pasco Fearon is a developmental and clinical psychologist, specialising in early parent-child and family relationships in normative and atypical development. 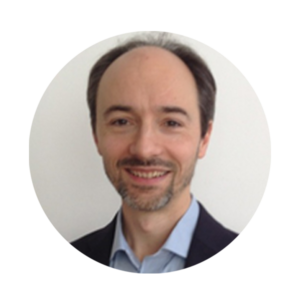 He is currently joint Director of UCL’s Doctoral Training Programme in Clinical Psychology, Deputy Head of the Research Department of Clinical, Educational and Health Psychology, and President of the Society for Emotion and Attachment Studies. He studied experimental psychology at Cambridge before undertaking his PhD at UCL and his Clinical Doctorate at the University of Wales Bangor. He is Director of the Developmental Neuroscience Unit at the Anna Freud Centre. He is also Deputy Editor in Chief of the Journal of Child Psychology and Psychiatry. Helen Minnis is a Professor of Child and Adolescent Psychiatry at the University of Glasgow. She spent time working as an Orphanage Doctor in Guatemala in the early 1990s prior to training in Psychiatry, and this stimulated an interest in the effects of early maltreatment on children’s development. 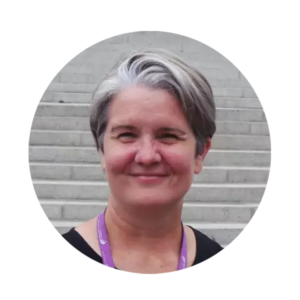 Her research focus has been on Attachment Disorder: clinical aspects, assessment tools and behavioural genetics. She is now conducting intervention research for maltreated children, including a randomised controlled trial of an infant mental health service for young children in foster care. Andrea is a children’s nurse and then went on to complete the Specialist Community Public Health degree to become a Health Visitor. 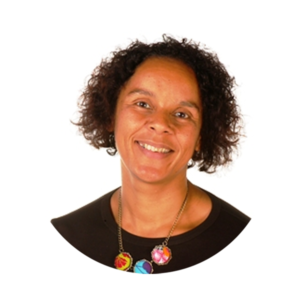 She is now a Specialist Health Visitor for Perinatal and Infant Mental Health and Clinical Expert for Infant Mental in CAMHS. Kathryn is currently the Modern Matron for Solent CAMHS East and a Queens Nurse. She has worked in the area of Infant Mental Health/ Perinatal Mental Health for the past 11 years. Lara Bracher is a Child and Adolescent Psychotherapist currently working within the NHS for Solent NHS Trust in Southampton CAMHS. Lara initially trained and qualified as a primary school teacher in 2003. Between 2005-2013, Lara completed her psychotherapy training at the Tavistock and Portman NHS Foundation Trust, during which time she worked as a trainee in Ashurst New Forest CAMHS and Southampton CAMHS. Whilst training, Lara began to develop a specialist interest in Infant Mental Health and is currently in the early stages of pursuing research in this area. She has recently secured two transitional research grants through Solent NHS Research and Development and HEE Wessex with the aim of working towards securing PhD funding to take her research interests forward. Amongst our aims is the dissemination of information to bridge the gap between rigorous research and best practice in relation to child and adolescent mental health. One of the ways in which we do this is through our events, and we try to make these as accessible and affordable as is reasonably possible. The events we organise are not profit-making, many are subsidised through our other commercial activities, without which they would not be able to run. As a charity, any surplus that we make is invested back into the business to benefit our Members and the sector. Members get a discounted rate and we hope you consider joining. Group discounts for 4 or more, please call 020 7403 7458 for details.